Dr. Anshumaan V. Kapoor did medical schooling from B.J. Medical College, Pune and his initial surgical training at Sassoon General Hospital, Pune. In the Year 1997, he joined Muljibhai Patel Urological Hospital (MPUH), Nadiad, and Gujarat. 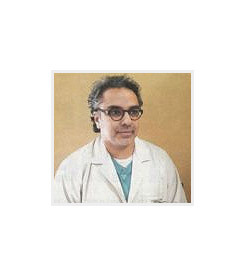 Under the guidance of Stalwarts Dr. Mahesh R. Desai, Dr. S. D. Bapat, Dr. Shyam Joshi, Dr. Rupin Shah and Dr. Ravindera Sabinis, he completed his DNB in Urology in the year 2001. He started his practice in City Beautiful along with his father Dr. ( Col) V. K. Kapoor at Kidney and Urostone Center, Sec 20, in the year 2002. He was the first doctor to introduce LASER in Urology in 2003 in tricity and Punjab first time. He was the first one to start minimally invasive surgeries RIRS ( Retrograde Intrarenal Surgery), MiniPercs, Micro Perc ….for renal stones in Tricity, Punjab and Himachal Pradesh. In Jan 2016 he demonstrated VapoEnucleation of Prostate as a treatment modality in India for the first time in All India Conference of Urological Society Of India. He has been doing regular demonstration surgeries all over India in last 3 years. He has performed more than 15000 surgeries to his credit.